Actually, the adventure began at the end of March when I accepted the offer to move to London to become (more or less) the European counterpart to what I had been doing in the US. But today I finally got on the plane with a one way ticket and a two-year work visa in my passport. As anyone who has moved more than a few times will know, there are phases in the moving process. 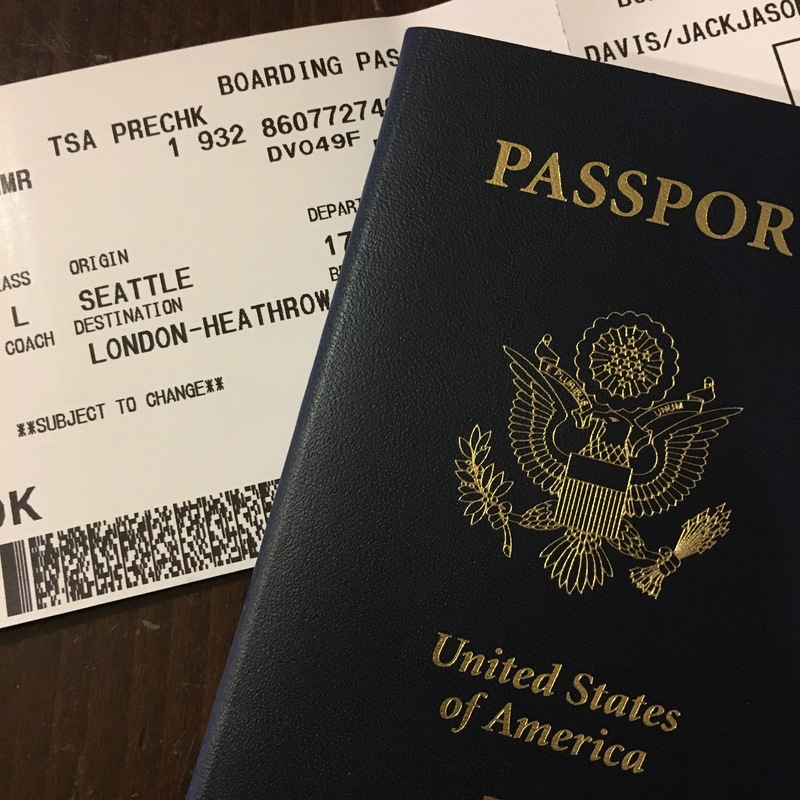 The past few weeks had been the phase where the hassle and stress of arranging a transatlantic move made me wonder why anyone in his right mind would do this voluntarily — the thought of calling it all off crossed my mind more than once. That phase gave way in the last couple of days to the leavetaking phase, which for me this time was the shortest and most emotionally wrenching. Even though I know that “goodbye” was really just “au revoir”, it still felt like goodbye, and goodbyes are hard. The last goodbye was the hardest. Thank heavens for sunglasses and eye drops! 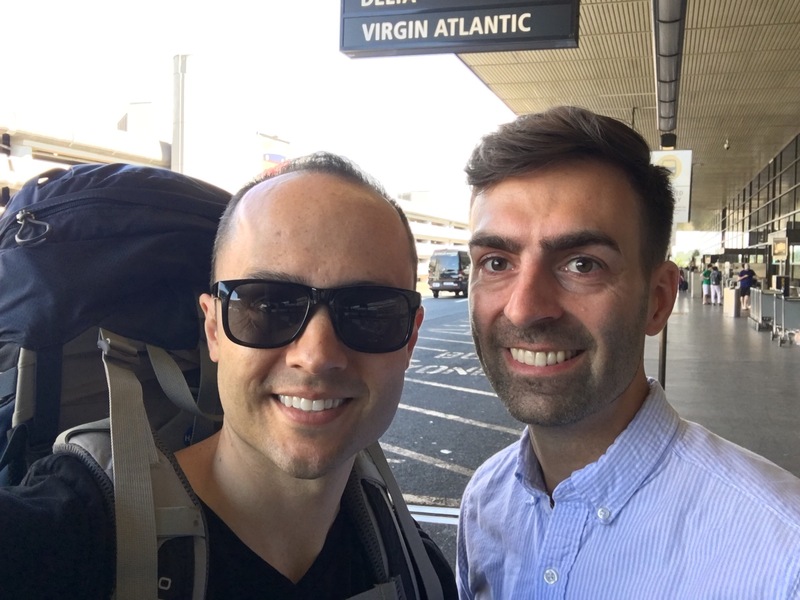 The flight was uneventful and surprisingly comfortable — it was my first time flying Virgin Atlantic, and it was probably the nicest economy class experience I’ve ever had on a long flight. The best part was the window shades, which weren’t really shades but rather adjustable tinting in the glass, which meant that we could always see out as we flew up over the polar ice; the sun never quite set and it was lovely on the clouds and ice and water. 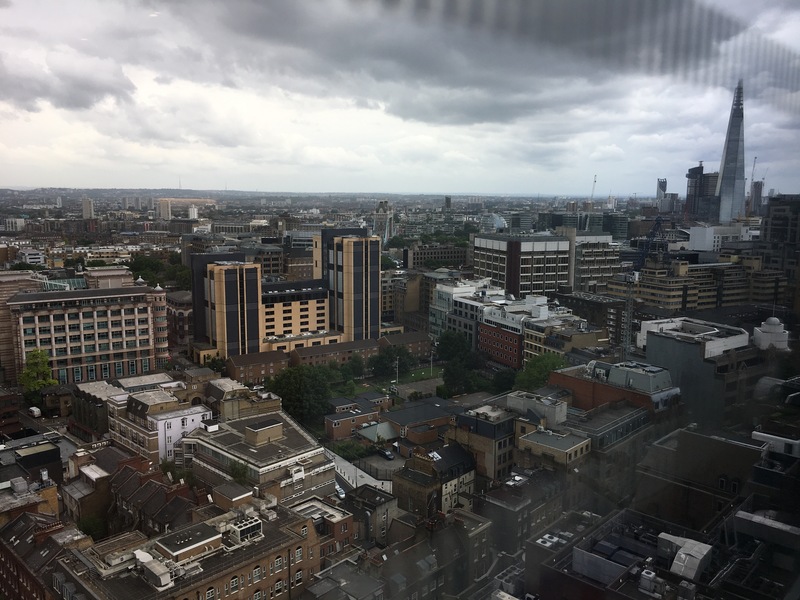 Once landed I made my way to my temporary lodging — a 22-storey tower in what’s called The City, which is the ancient center of London and the modern financial district. From this view alone I can see the Tower of London, the Tower Bridge, the Tate Modern, and the Shard. I’ve unpacked, bought some groceries, and had some dinner. Despite the jetlag and list of Things To Do that awaits me tomorrow, as I look out over the city I can feel the next phase of moving begin, the one where it finally sinks in that I’m living in London and have a whole new world to explore. Yep. That’s “frugality” for you. Glad the great adventure has begun!